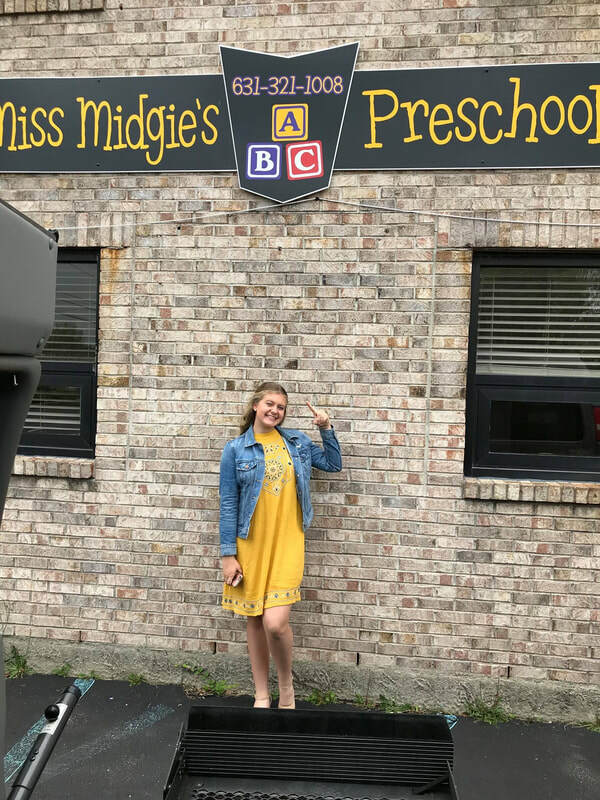 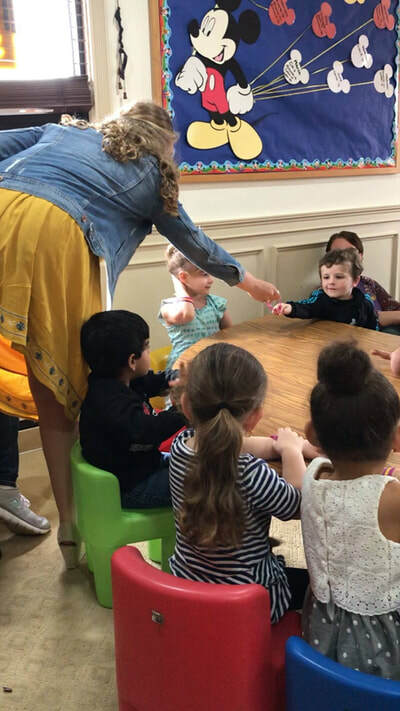 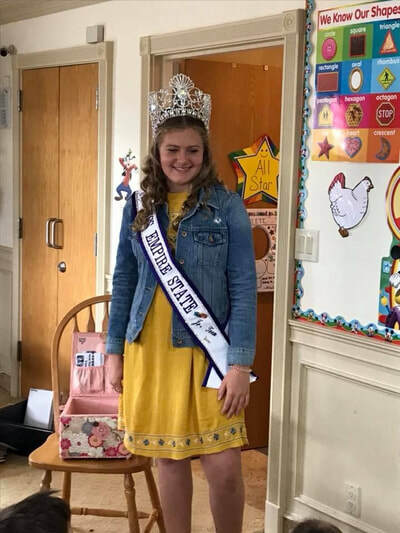 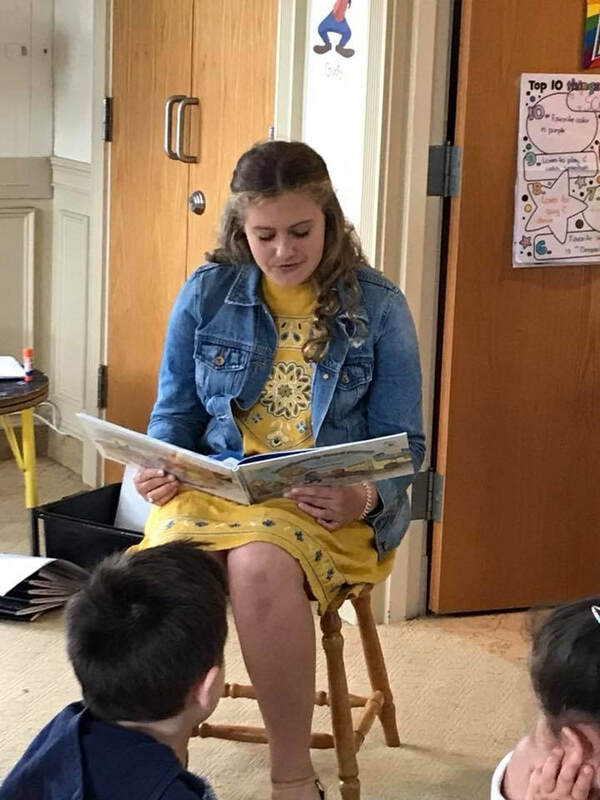 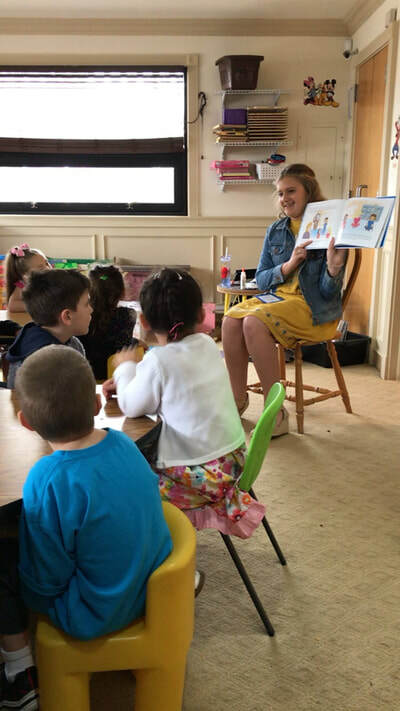 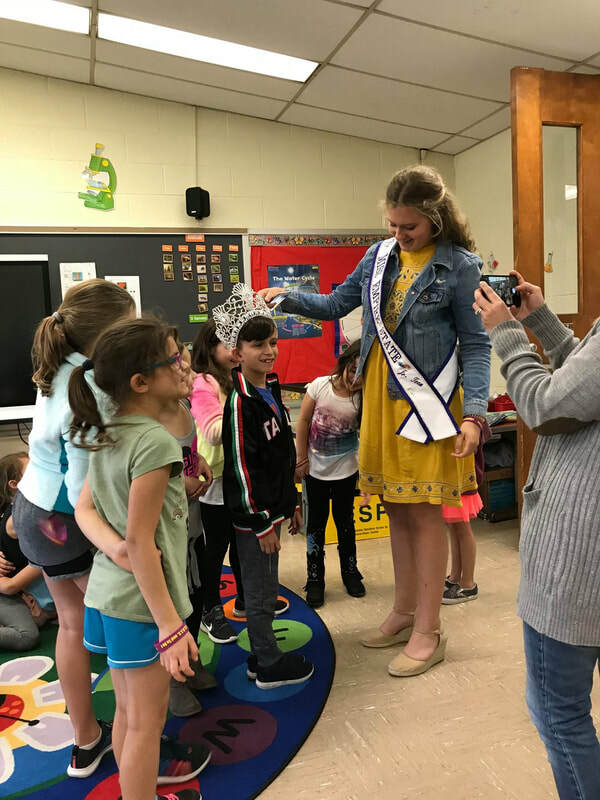 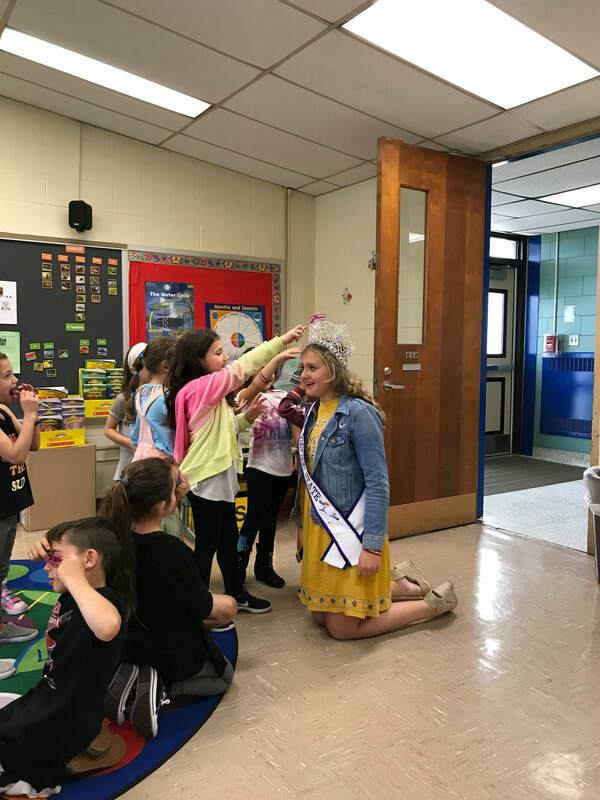 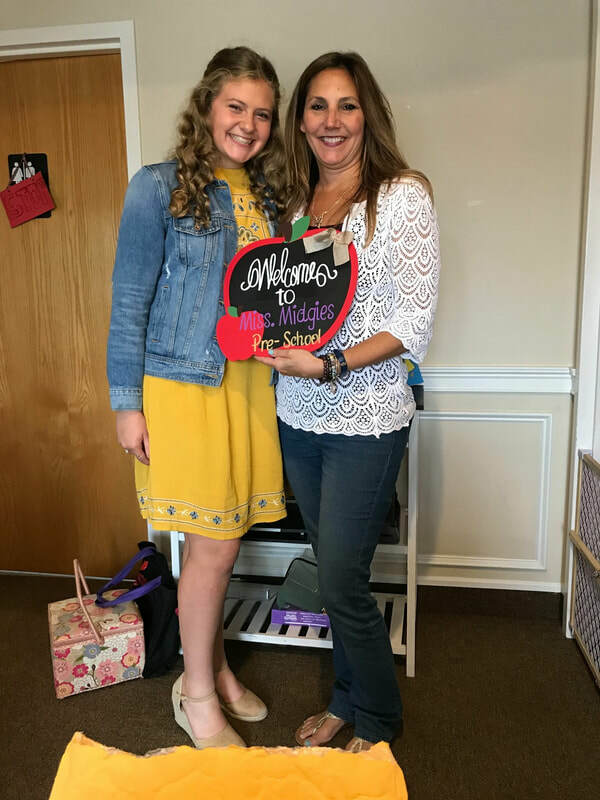 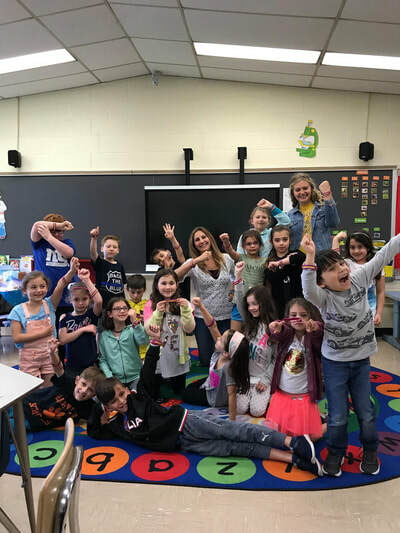 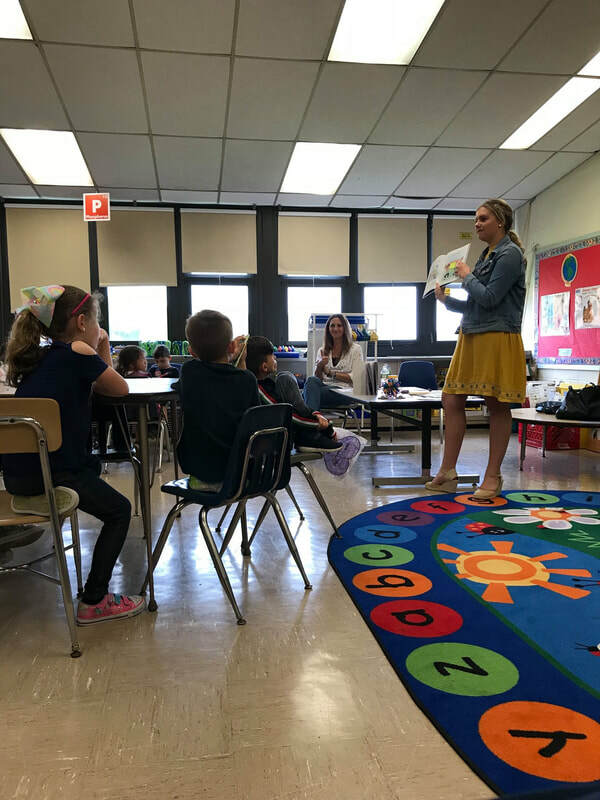 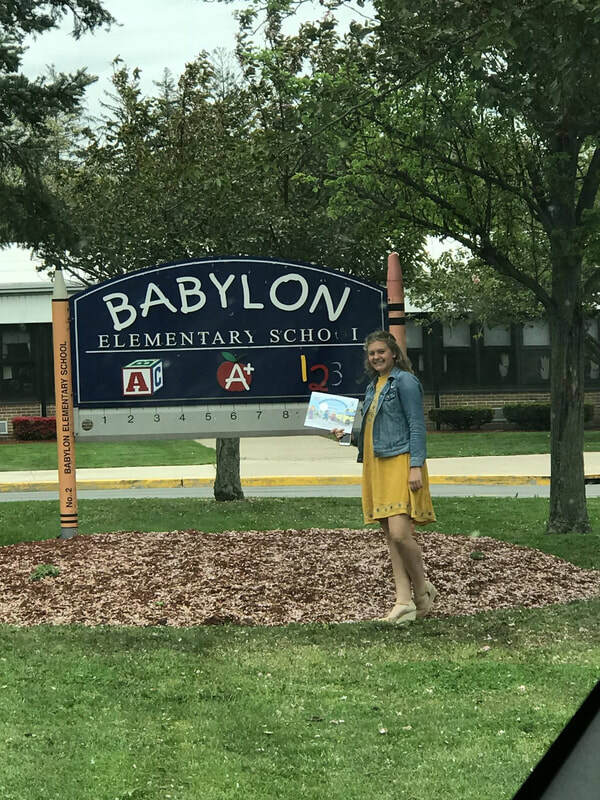 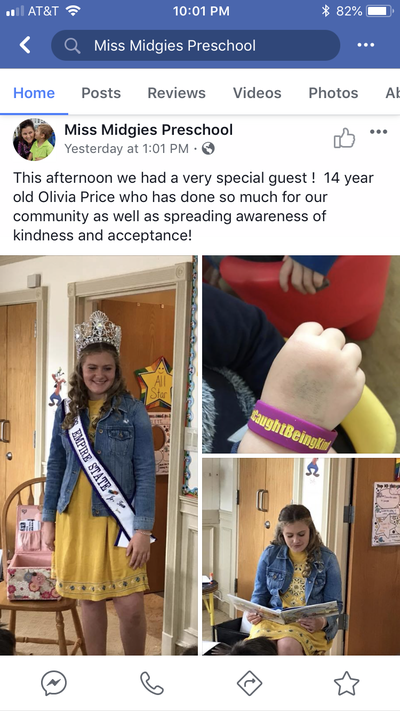 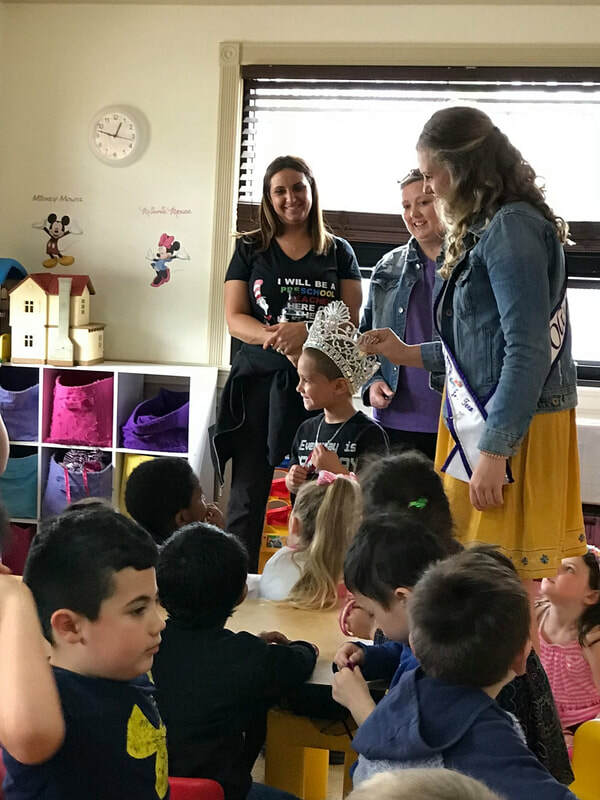 On Friday, May 18, 2018, Olivia Price spent the afternoon at Miss Midgies Preschool spreading acceptance and awareness of people with neurodiversity and showing them how to #getcaughtbeingkind !!! 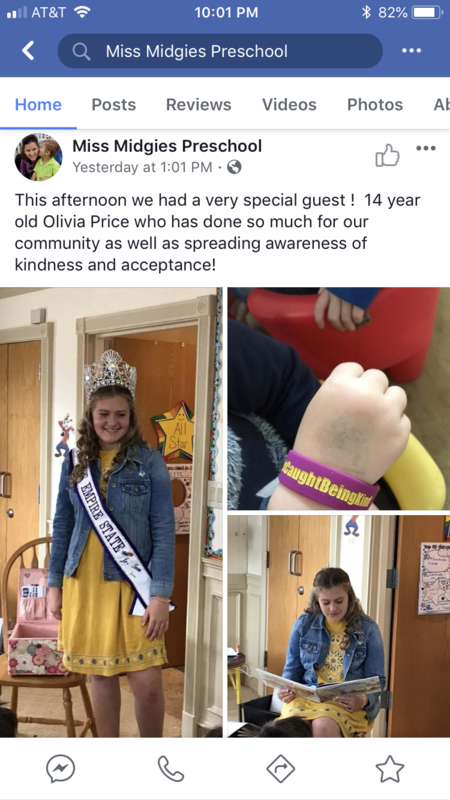 "We can make a difference if we start young! 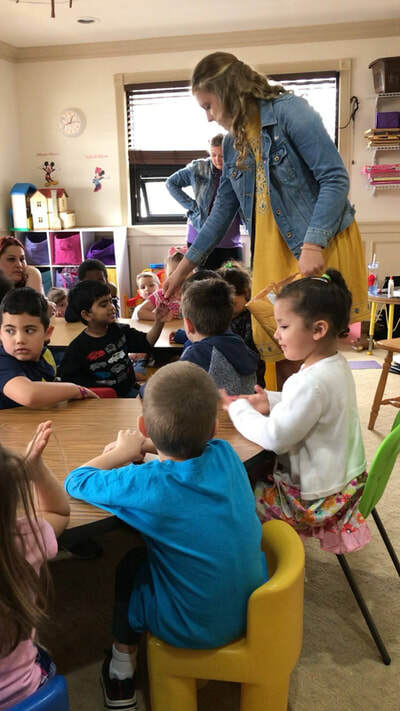 Thank you to my mentor and Lead Youth Ambassador at the UCF: Dominique Rivera and to Miss Midgie for having me speak and read to her students at (Miss Midgie’s Preschool) and also at her Mindfulness Workshop at Babylon Elementary School! 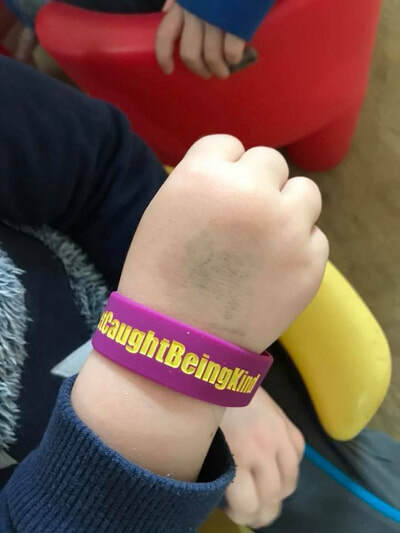 Be sure to check out the Pledge the kids took to remember to be kind to everyone and how excited they were to wear their Get Caught Being Kind Bracelets!!!"